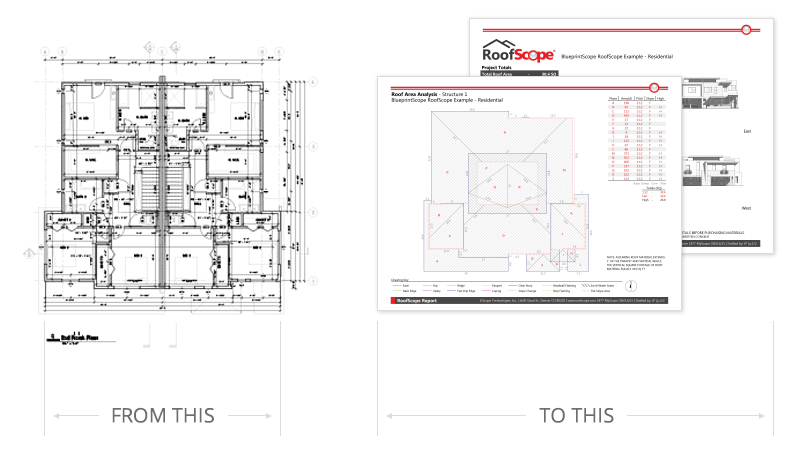 Scope Technologies’® BlueprintScope™ removes the need for expensive software and hiring the drafters trained to use it, putting the control in the hands of contractors and architects. Denver, CO (February 17, 2016) — BlueprintScope is celebrating two years of success in the world of Construction Blueprint Takeoff Reports. While some Construction Estimating Services are just beginning to provide material takeoff reports using blueprints, Scope Technologies, Inc. has been doing this since early 2014. Whether you are a trained architect, engineer or a general contractor, “Do it yourself” can become costly, and even the most advanced DIYers need their trustworthy tools. BlueprintScope’s full suite of exterior report services meets that need. Blueprints are difficult to draft, read, and despite technological advances in the last 20 years, little has changed in the creation of blueprint files. What Scope Technologies provides with BlueprintScope is bridging the gap to allow contractors and builders who don’t have architectural backgrounds to create an estimate from blueprints. It would take a team of people and expensive software to be able to do that on the same scale and volume as BlueprintScope. It removes the clatter and difficulty, while guaranteeing accuracy, quick delivery, and adds a sleek, professional touch.